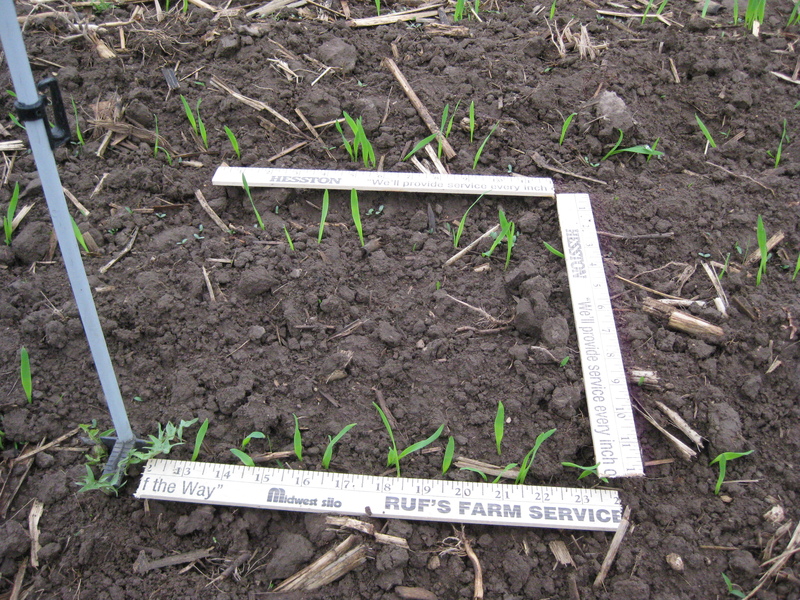 This is the third picture of M6, a field planted to oats, alfalfa, and grasses. It was planted on May 3rd. I plan to update every weekend throughout the growing season. I’m using an electric fence post to mark the spot. 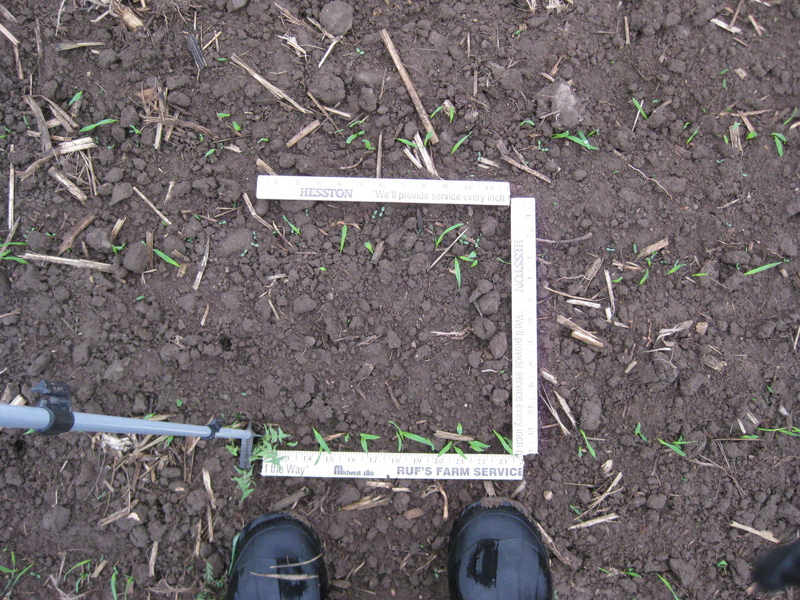 And I cut a yard stick into three pieces to frame the square-foot. My boots are also shown. The top picture is taken looking straight down from a height of about four feet. The bottom picture is taken looking forward from a kneeling position. You can see oats poking out of the ground, and what looks to be alfalfa seedlings. This entry was posted on Sunday, May 15th, 2011 at 2:25 am and is filed under Curious Square-foot. You can follow any responses to this entry through the RSS 2.0 feed. You can leave a response, or trackback from your own site.